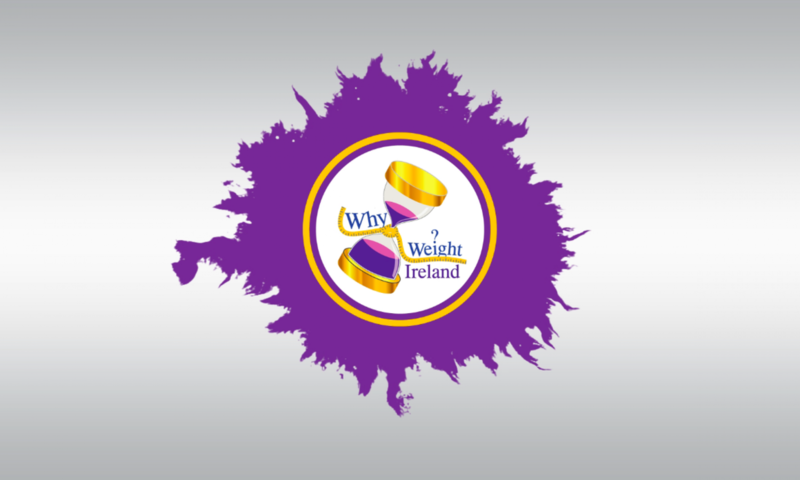 What is Why Weight Ireland? Why Weight Ireland is a weight loss and fitness business like no other. Why Weight Ireland is based upon combining healthy eating and exercising by eating normal every day food and introducing exercise to your daily routine. All members get access to Ireland’s ONLY comprehensive online food and exercise diary, receive personal, tailored fitness plans, access to full online video workouts and have access to personal and confidential support 7 days a week. The good thing about the Why Weight Ireland plan is that it WORKS. There is no set food plan to follow, no one telling you that you can’t eat certain foods and no one preaching that your way is the wrong way. Why Weight Ireland isn’t a ‘standard’ weight loss business. Our members range from those wanting to lose weight, those trying to maintain their weight and those who are in sports training and wanting to make sure that their food intake is in line with their training. The online food and exercise diary makes you responsible for your own actions – each member is given a personal calorie, fat and exercise allowance and it is up to each person to make the necessary choices and your personal food diary helps and guides you into making these correct choices. If you go over your allowances, so what, it’s not the end of the world! With the food diary you can see what foods are causing your allowances to get used up and with all the tools available within the diary it gives you the opportunity to make chances to your diet and keep your allowances in tact. While setting up your online diary profile you are able to select the amount of weight you would like to lose per week, ranging from 0.5 lb. up to 2 lb. per week. Each person’s allowances are personal to him or her as they are based upon their specific details. This is NOT a starvation diet and our members will say that they are eating more now than they had previously been eating on other weight loss plans or diets and they are continuing to lose weight. There is also an optimized mobile site for smartphones so you can access your diary on the go, easily and quickly. With the Why Weight Ireland plan, simply add your food and exercise into your personalised diary, hit your targets and LOSE WEIGHT! If you have a special occasion coming up set yourself a “treat day” and the diary will automatically adjust your week so that you can enjoy yourself for that special occasion without having to panic about ruining your whole week. In January 2013, I opened the first Why Weight Ireland Local Studio in Tinahely, Wicklow. The local studio offers members the opportunity to have free private weigh-ins, consultations and discounted fitness classes. Some members need more of a personal touch and by offering them the chance to sit with me to discuss how they are getting on while also tracking their weight and measurements, all for free, it gives them an even greater chance of a successful weight loss journey. The studio offers a fantastic range of fitness classes that both members and non-members can take part in to enhance their weight loss. Not everyone likes to go running or plays a sport or even likes going to the gym so having somewhere to go and complete a class gives them the exercise that they need while also doing something that they can enjoy. Why Weight Ireland started by accident really! Two and a half years ago I reached my goal weight after losing over seven and a half stone. It took me just over 2 years to hit my goal weight and while having 2 very young children and living in the country side I found that certain things were against me. I was working full time in Dublin so I was up very early and not back till very late so getting to any scheduled weight loss meetings was almost impossible. With working and not getting out I also found it hard to find the support needed to get me through the tough times. A friend of mine had advised me to start using a food diary to keep track of my food, so I did this and it really helped me see what I was eating and what effect it was having on my recommended calorie allowance. As my weight started to reduce I would try getting out for small walks on my lunch break or any time I could. I would start getting up even earlier and going out before I left for work or I would go out late at night when I was home and the kids were asleep. When I hit my goal weight I was so excited but also very nervous as I didn’t know what to do next! I had put so much time into losing weight that I felt like I had lost something. Someone had asked me how I lost my weight so I explained what I did and when I got home that day I decided to write down what I really wanted that I didn’t have that would have made my weight loss journey faster, easier and certainly more enjoyable. This is where the idea for the business came from and Why Weight Ireland was born. I wanted people to be able to keep track of their food, have access to low calorie recipes if they got stuck, I wanted there to be a support network for all to use no matter what time it was or where you were, there would always be someone to talk to. I wanted people to be able to really introduce exercise into the daily routines. I wanted people to be able to lose weight without them feeling like it was a chore or something that felt too hard and it also had to be something that they could maintain and manage while at the same time letting them be in charge and making the decisions. I love food too much so anyone telling me that I couldn’t eat certain foods just wouldn’t work for me. Since launching (2012) the food diary has progressed even further and we’ve recently added a new food trigger area which helps people deal and keep track of food triggers based on different emotions and circumstances and gives you reports on how to deal with them. The food diary (or food journal) has also integrated an online weigh-in club. As part of the online weight tracker we now have a private weight tracker where you can keep your weight loss to yourself and see your progress charts or you can update your weight using the online weigh-in club where, just like a weight loss meeting, you would weigh-in and your weight loss would be visible to other members and where you can get further support, motivation and encouragement from other members. 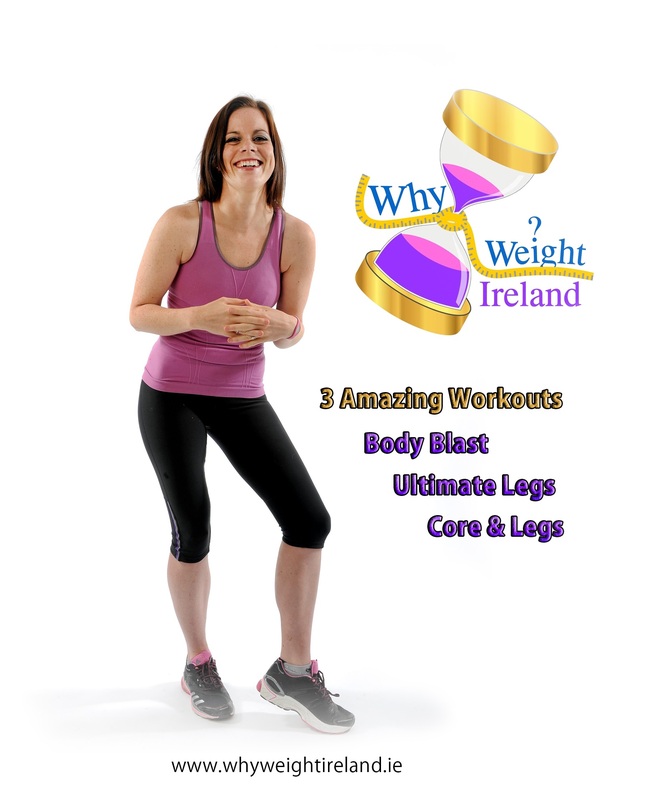 What makes Why Weight Ireland different to all the other weight loss companies in Ireland? Why should people pick you over the well-known names? There is no business in Ireland that is like Why Weight Ireland or offers the same benefits or even charges as low prices as we do. We are the only Irish weight loss and fitness business that incorporates a fully comprehensive food and exercise diary, offer members personal fitness plans that are regularly altered at no extra cost, full online video workouts and offer full email support 7 days a week. Why Weight Ireland is all about helping others lose weight and letting people have the opportunity to feel the way I did on the morning I hit my goal weight. I will always try and keep the membership costs at its lowest possible rate and I will always try and offer the best services to my members. I try to make the business as personal as possible while also keeping peoples wishes private and confidential. There are NO robotic responses – All correspondence is done personally by myself, including all the tailored fitness plans and blogs. I don’t judge members on what they have done previously and I certainly don’t see them any differently – I help everyone who gets in contact with me no matter what their circumstances are. I don’t force or preach or tell people that they must eat or drink certain foods or my way is the only way! That is not what we are about. You are in charge of your own personal diary – if you have any queries regarding food or exercise, members can drop me an email and I will always try and respond as soon as possible. At Why Weight Ireland we offer people all the necessary tools to lose weight and get fit and it is up to each member to use these tools. Our food and exercise diary was developed by one of the UK’s leading weight loss experts Dr. Ian Campbell MBE and is also currently part of the UK governments weight loss initiative scheme to try and combat obesity in the UK so you know that our diary comes highly recommended. Compared to other online diaries that are available for free, none have been developed by the medical profession, they are full of advertisements and their database information is recorded and built-up by members adding information and not from actual shops, like ours. This leads to inaccurate information, inaccurate calorie allowances and inaccurate food details. I have dozens of members who have been using other mobile diaries and it’s only when they come to Why Weight Ireland they realise they have either been eating way to little or way too much. A lot of online diaries have similar attributes like a forum, being able to connect with friends etc but none have access to fitness or dietician support, personal one-to-one support anytime they want it, online workouts and at Why Weight Ireland, you will not find any adverts on our diary or mobile diary. We also get a lot of members coming from the more well known weight loss businesses in Ireland as they feel that they have had enough of counting points and similar systems, they end up not learning very much as they aren’t seeing the full facts of the food they are eating. With our new live weigh-in club it also now makes it easier for those who need the extra push of attending meeting without having to leave the house – all without costing any extra money. I also offer members the chance to email me each week and ‘Weigh-in With Hannah’ so I can personally update them on how they are going and explain any issues that they may come up against. In my opinion the Why Weight Ireland plan is the best weight loss plan in Ireland and offers people the best chance to lose weight safely and be able to keep the weight off. I’m sure if you ask our members they will say the same. In my opinion Why Weight Ireland is the best value for money – just a one-off membership fee, no hidden costs. We don’t charge any registration fees or even if you miss a weigh-in! If you live near our Why Weight Ireland Local Studio you also get to have your private weigh-in sessions and measurements all done at no extra cost to your membership as well as discounted fitness classes. Do you have any advice for someone wanting to lose weight and thinking of starting a weight loss program? If you want to lose weight then go for it. You will find dozens of reasons or excuses why this might be the wrong time to begin any weight loss program but that’s all they are, EXCUSES. You need to look at yourself in the mirror and say to yourself that YOU ARE GOING TO DO THIS and YOU WILL DO THIS NO MATTER WHAT. During your weight loss journey you WILL fall off the wagon, you WILL have doubts, your weight WILL grind to a halt and you WILL think if you will ever hit your goal weight. The main thing to remember is that losing weight and hitting your goal weight does NOT happen over night. Its takes weeks, months, even years (depending on your start weight). The other thing is to remember to KEEP GOING no matter what happens. You may even find that the more weight you lose the more your friends or family question your reasons for losing weight or friends might pressure you in to eating but over time you will learn how to deal with these situations and they will only make you a stronger person. My advice for someone thinking of starting a weight loss program – GO FOR IT – Find a program that suits your needs and stick to it. What advice would you give to all those people who have spent a fortune on all the latest gizmos and fad diets and are getting nowhere fast? I have spent a fortune on fancy gizmos and fad diets. I’ve tried all the magic soups, pills and drop a dress size in a day and even the 28-day shreds. IF you manage to stick to any diet, you will lose weight but with a lot of these so-called diets, they are not sustainable and what happens at the end of your period? What have you learnt? You may have lost a few pounds but more than likely all that weight will be back on as quick as it went off. A lot of fad diets hook you in to a false sense of success. Once you try the first week or two you will notice your weight loss is great so you continue to do it but in the first week or two it is mainly just water retention that is coming off and not fat. Also a lot of fad diets advise you to eat well below what is recommended and again you will lose weight, first water retention but if you manage to continue you will more than likely be losing muscle rather than fat which is not what you want to achieve. Save your money, stop trying fad diets as there is no magic pill. You have to lose the weight yourself through healthy eating and exercise. I am confident that the Why Weight Ireland Weight Loss & Fitness plan works and to give you the chance to ‘Try Before You Buy’ you can take advantage of our 2-Day Free Trial. You do not need any pre-payment or credit card to try our trial. 3 out of every 5 people who register for the trial end up signing up and 4 out of every 5 people who sign up renew their membership. Do you want to lose weight? Are you looking to get fit? Are you wanting something to keep track of what you are eating, then look no further. Visit Why Weight Ireland www.whyweightireland.ie and see for yourself. Once your trial is complete you can visit our Prices & Packages page and select one of our memberships to continue and receive the benefits of being a full member.